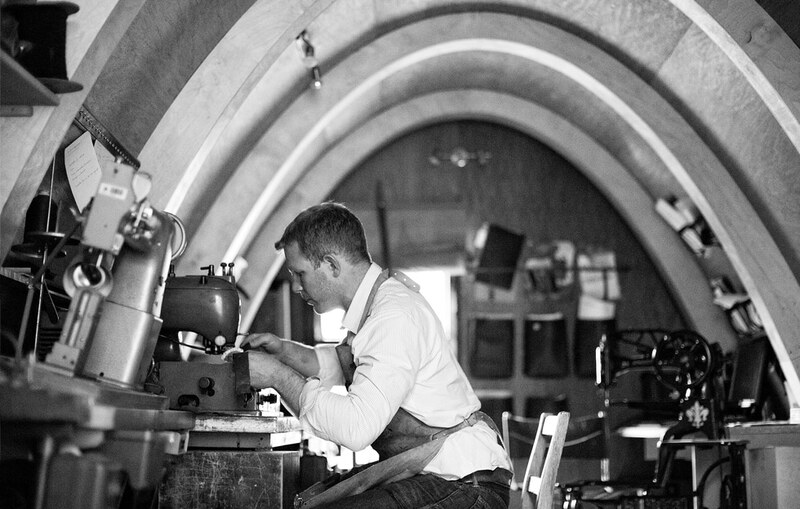 All of our products are made from our purpose built workshops in Kildare. 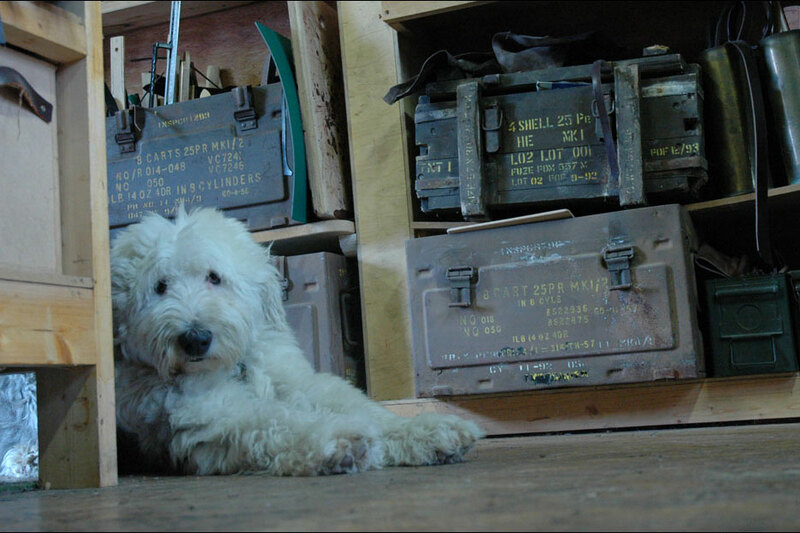 In fact the main workshop where most of the products for sale on this website are made is an original design by Garvan. 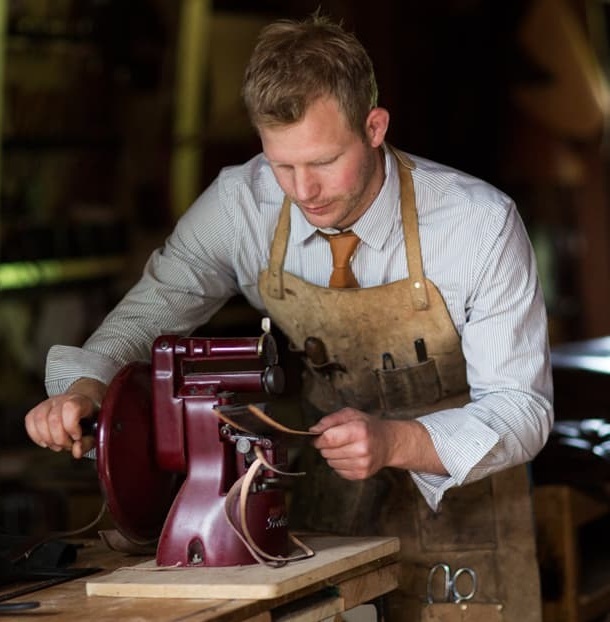 The gentle curves of the timber building form part of the charm of working for deBruir Leather. 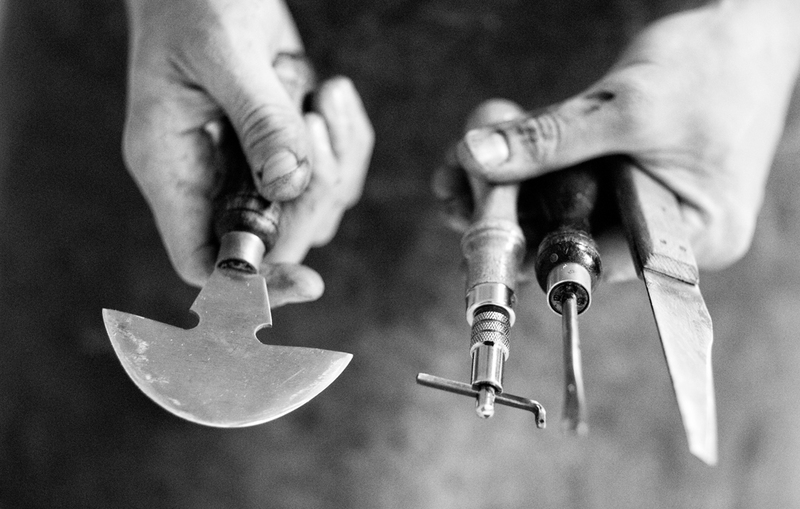 Craft is at the core of everything we do. 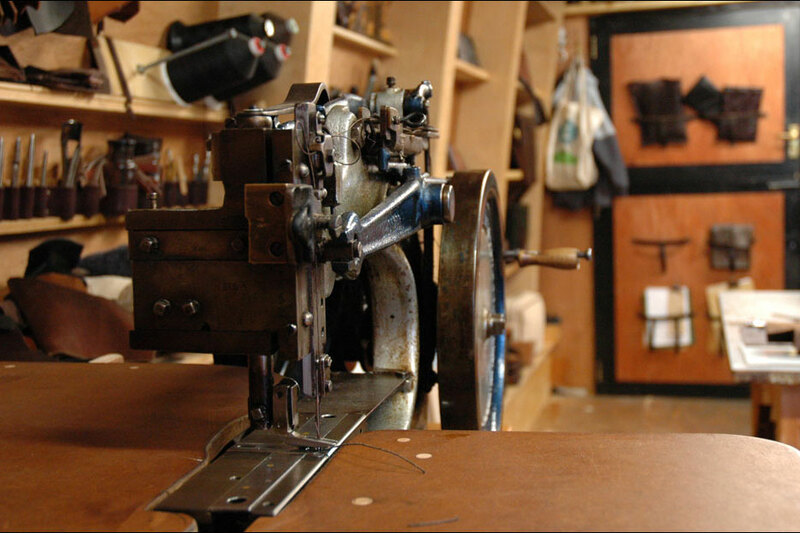 Most of the DE BRUIR collection of bags and accessories in bridle leather are made in this building. 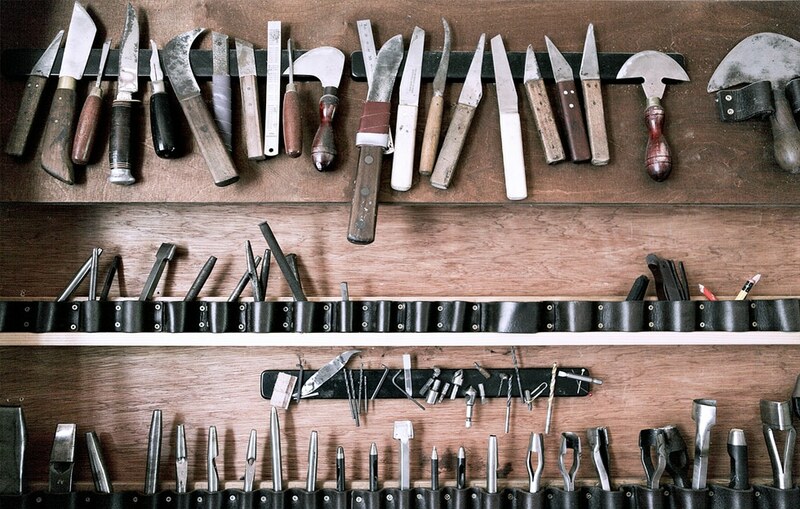 Full to the brim with hand tools, templates, cutting benches and sewing machines – it is a cobblers dream. 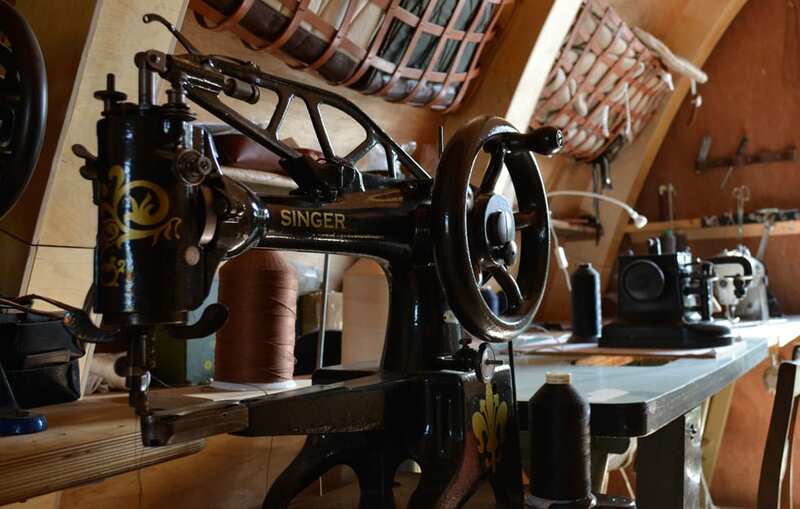 Upstairs are more sewing and skiving machines allowing flexibility under times of high demand. This upper section also houses the components waiting for assembly. 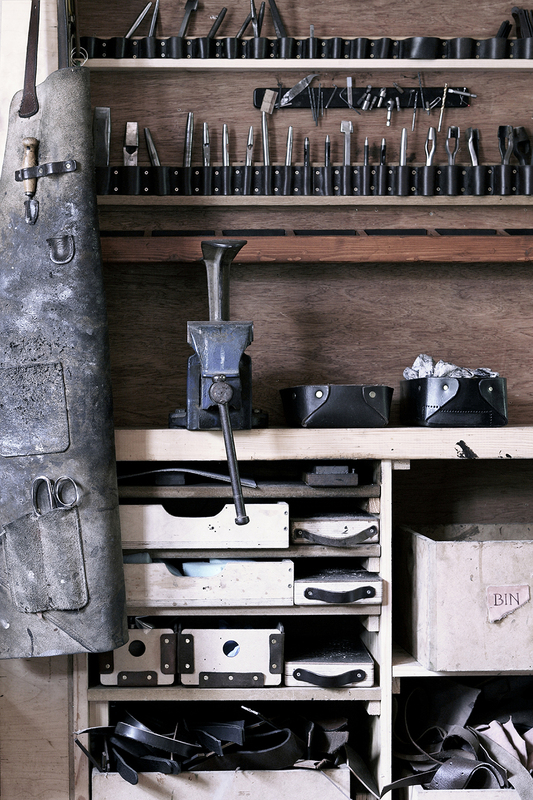 This workshop is the main hive of the deBruir complex – here you will find a treasure trove of tools, designs and leather innovations that have been gathered and cooked up by Garvan over the years. 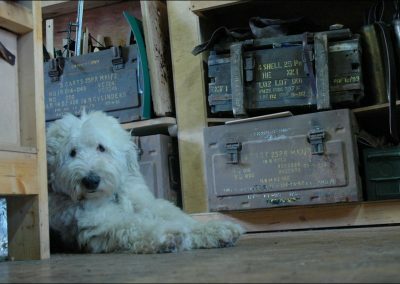 It is also a favourite haunt of a particularly fluffy and adorable regular customer – Teddy. 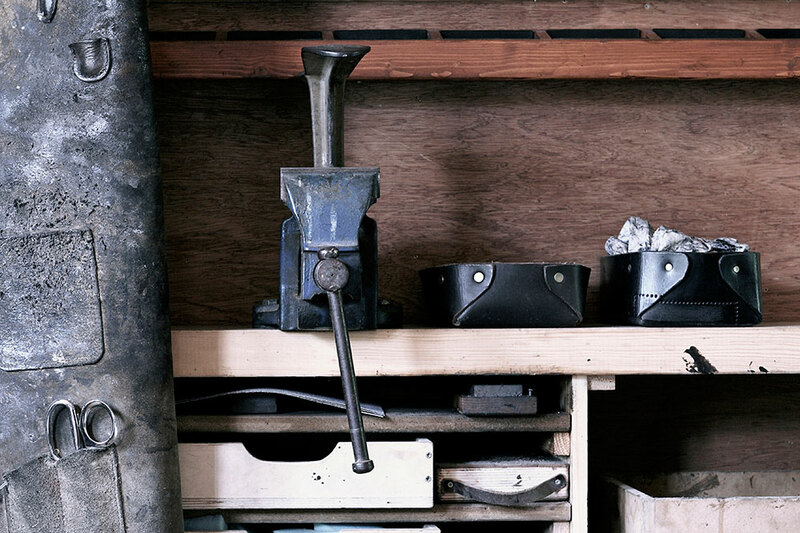 A series of punches are in the leather holsters on the wall. Some cut holes of different diameter, some make slots of different lengths for a selection of buckle sizes. 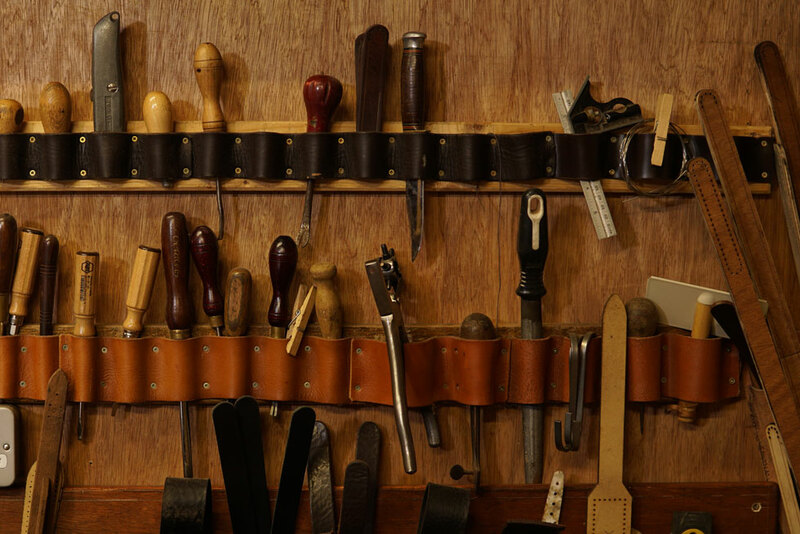 There are varying widths of end-punches which will cut an even round or a point in the end of a strap. 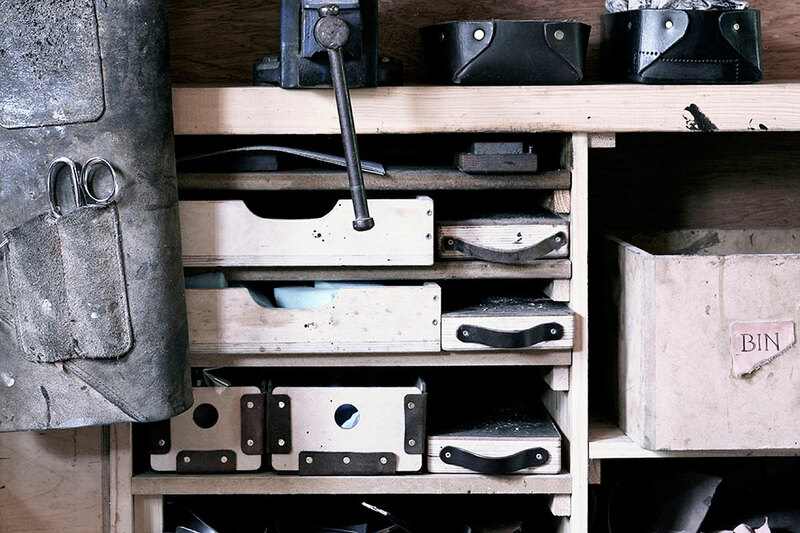 The wooden cutting blocks below the counter have thick leather tops to ensure the punches stay sharp. 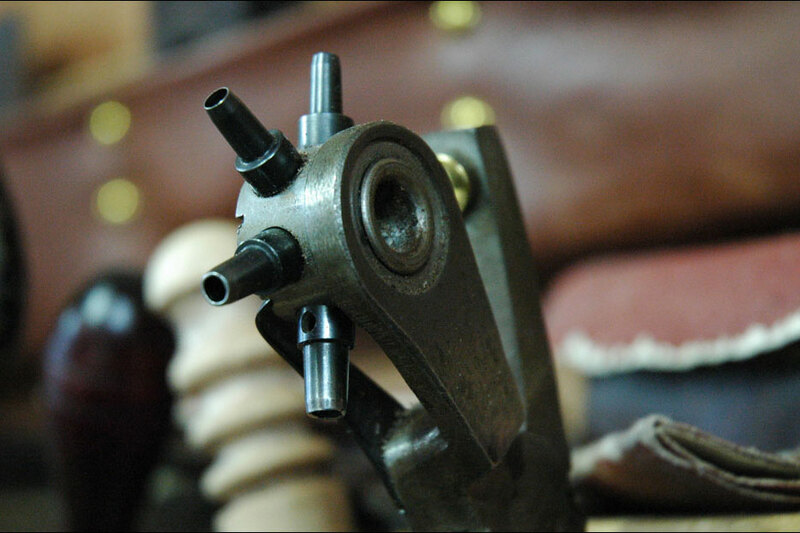 The shoemakers last is clamped in the vice for hammering brass rivets closed. 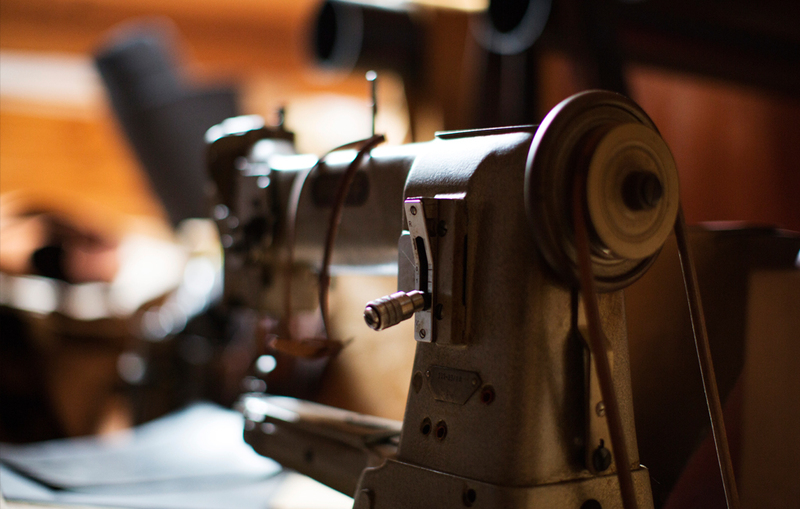 The standard sewing machines are on a flat table. 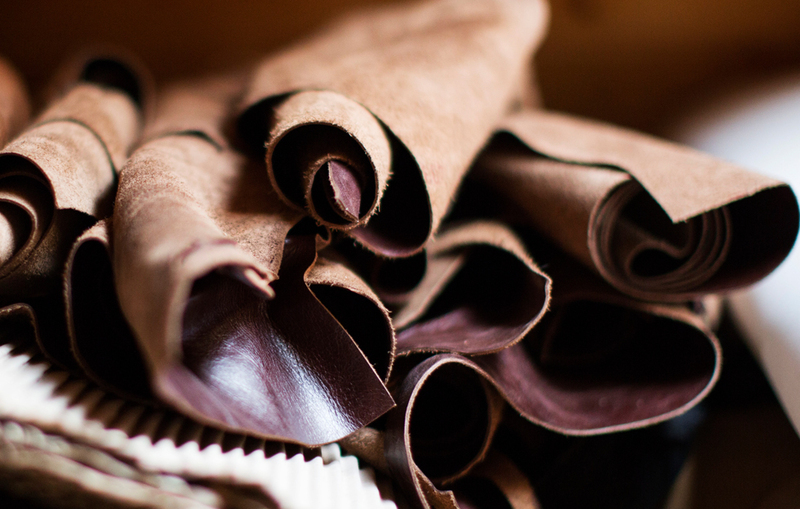 These are ideal for the early stages of the bag making. 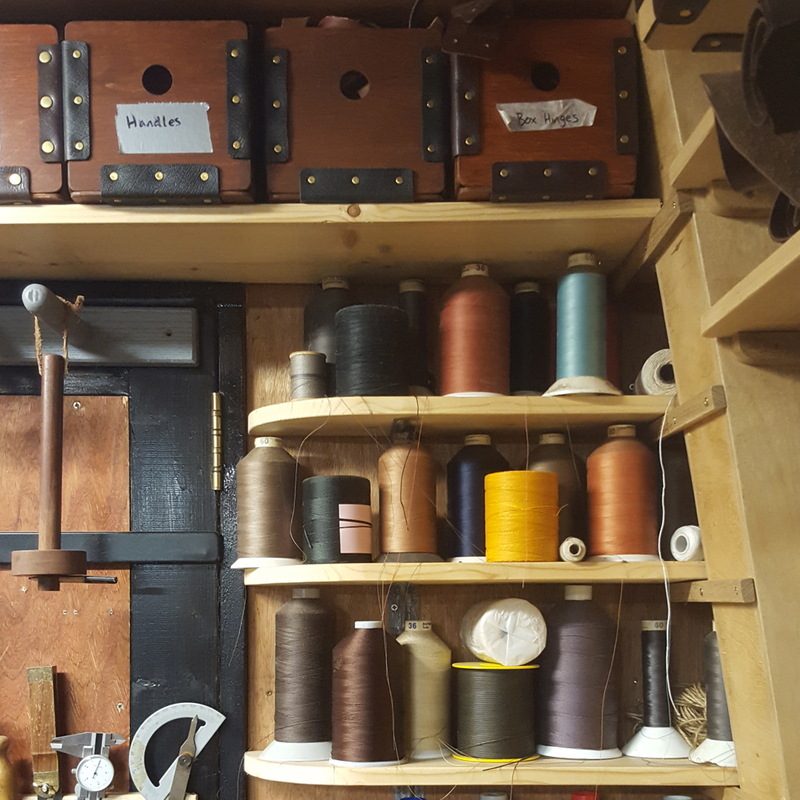 However as the bags begin to take shape and the stitch area becomes less accessible, there are machines that are more specific to bag-making. 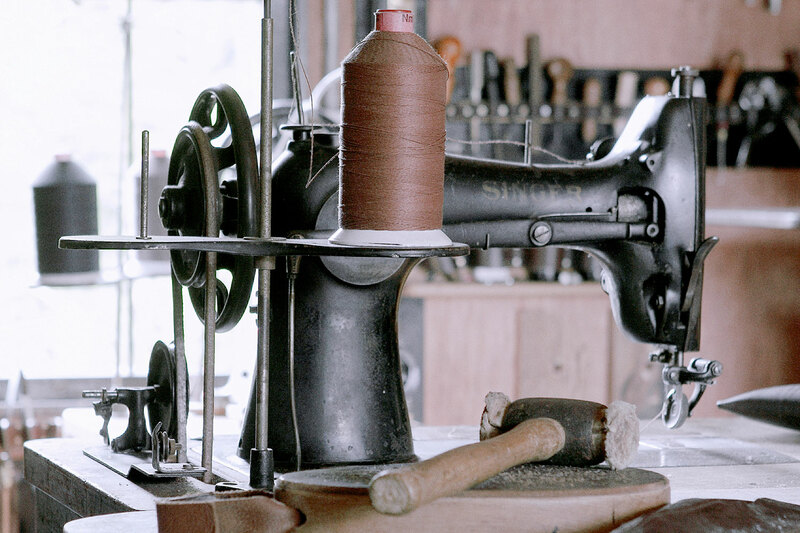 Some machines have the stitch mechanism at the end of a long arm or the top a high pedestal for increased manoeuvrability. 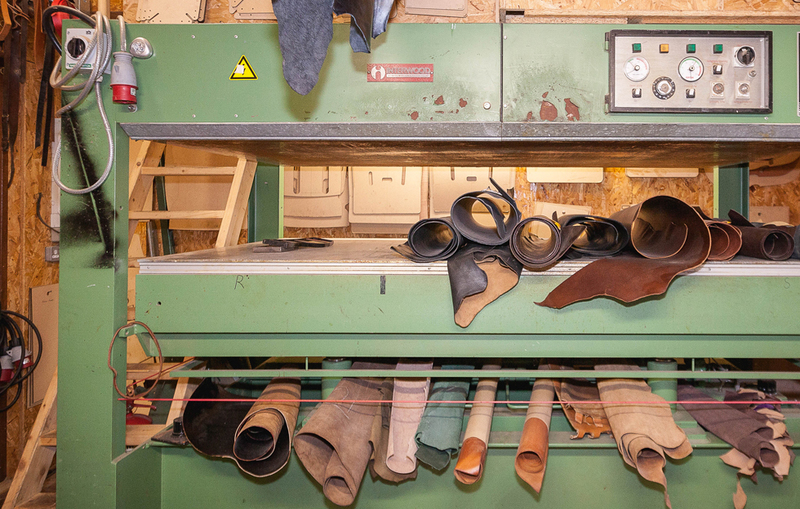 A Pearson No.6 is a stallworth in the saddle-making industry. 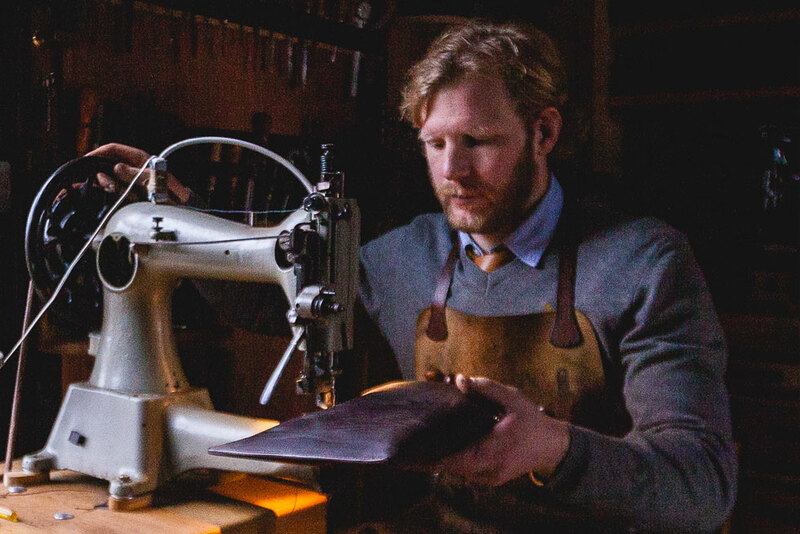 Although it is propelled by hand the engineering is so precise that the needle glides through 15mm of firm leather and gives a beautiful finish stitch. 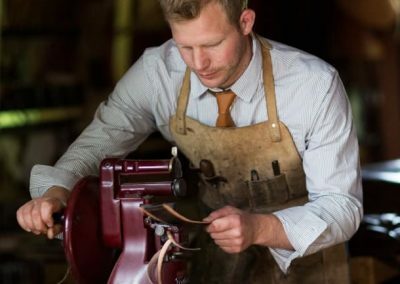 At an easy 100 years old, it is the finest piece of craftsmanship in the workshop. This old Singer 45 is on a flat table with a wheel feed. It uses a chunky n8 polyester cotton thread. It was salvaged and restored for use as it gives a really handsome stitch. 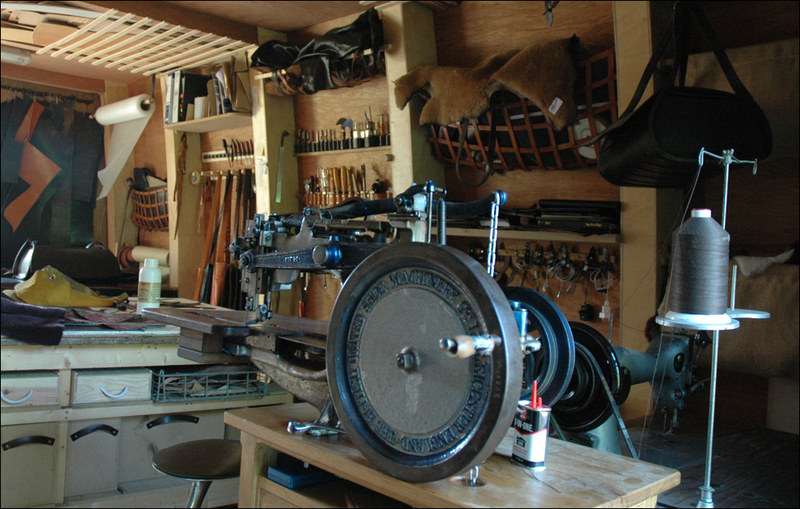 The upstairs part of the workshop has machines for thinner leathers and sheepskins. As Garvan’s work portfolio began in fine furniture making in decorative hardwoods. 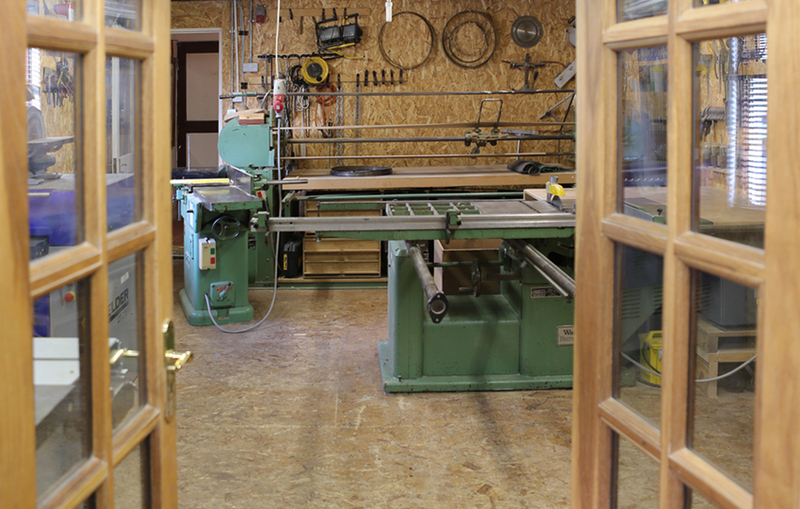 The wood-workshop equipment and tooling is specific to a high standard of making. 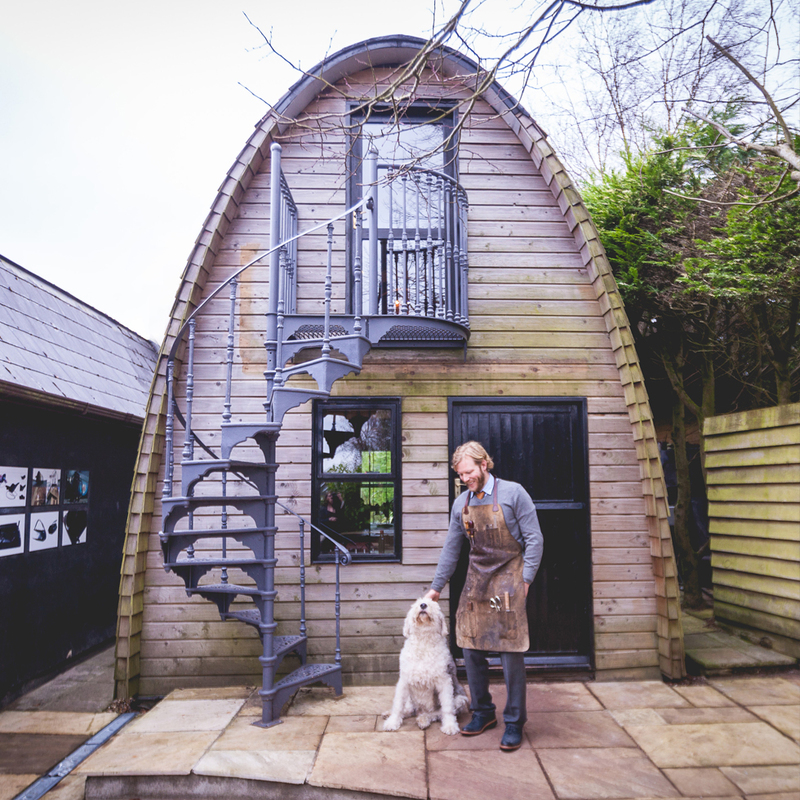 From finished furniture, to sculptural installations, traditional and contemporary skills in wood are in continuous use at the studio. 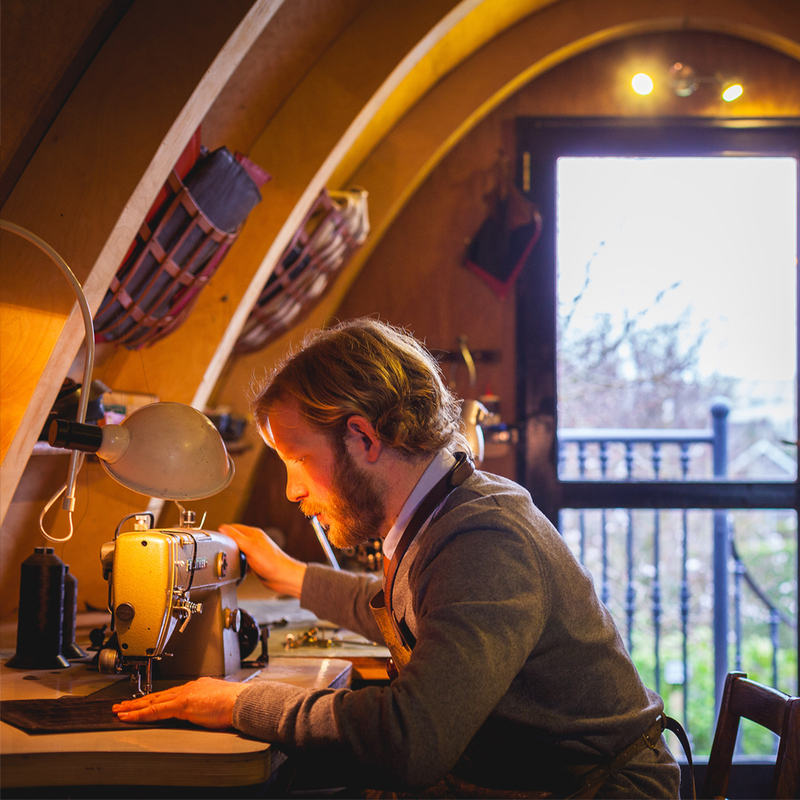 When projects out-grow the facility, prototyping and model-making happen at the studio and then collaborating with select joinery workshops for full scale works.